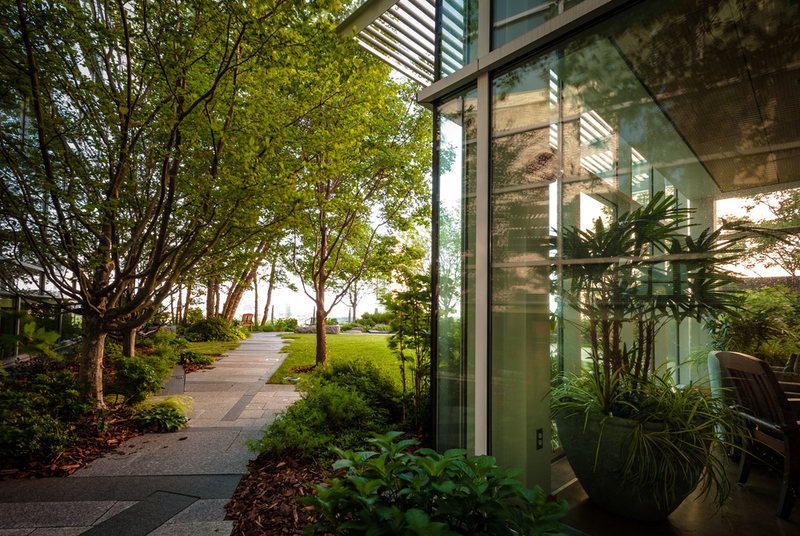 The Chapel at Massachusetts General Hospital is just over 75 years old while the Ulfelder Healing Garden in the Yawkey Center for Outpatient Care recently celebrated its tenth birthday. Together with a Muslim prayer room located nearby, these only slightly hidden spaces create opportunities for patients, staff and visitors passing through the hospital to sit down and reflect. Since it first opened to the hospital community on April 25, 1941, the Chapel has been open 24 hours a day, seven days a week. It was created, in large part, through the work of Rt. Rev. William Lawrence, retired bishop of the Episcopal Diocese of Massachusetts, who in the late 1930s sent more than 1500 letters to friends of the hospital asking for support to build it. In 1991 the Gothic Revival Chapel moved from its first location in the Baker Building to where it sits today in the Ellison Building, in almost identical form, near the hospital gift shop and flower store. Changes to the space over the years have been few. The original record player was replaced by an electronic organ, and later, a Steinway grand piano. A hanging was added behind the stone altar table. The lighting was improved and flowers were maintained. An early cross was replaced by symbols from multiple religious traditions that are stored and moved into the chapel as needed. Intended as an inclusive space, welcoming to all, the words “Whoever will may enter here” greet visitors as they pass from the entryway into the chapel space. Prayer services are held daily, Jewish Pre-Shabbat Services and Catholic Mass weekly, and Hindu services and Buddhist meditation monthly. Memorial services for staff members take place regularly as do chaplaincy student graduations and gatherings in response to local and national events. Stained glass windows created by Charles Connick and Associates of Boston adorn the space, which has long been cared for by the Chapel Committee and the Ladies Visiting Committee. A Muslim prayer room, opened in 1999 at the request of Muslim staff, sits just next to the chapel. Friday prayers are held in a larger conference room nearby. A mihrab or special niche that indicates the direction of Mecca was added in 2005. Verses from the Koran in English and Arabic hang in the Muslim prayer room used by male and female staff and visitors throughout the day. 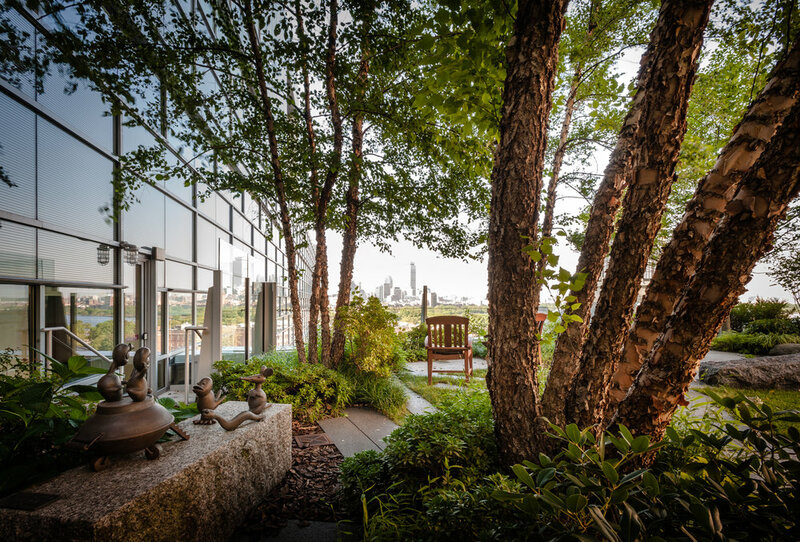 And the 6300 square foot Ulfelder Healing Garden was created by Halvorson Landscape Design in 2005 - with views of Cambridge and Boston - to offer respite particularly for Cancer Center patients, families and staff. Take a tour of other spaces in downtown Boston.